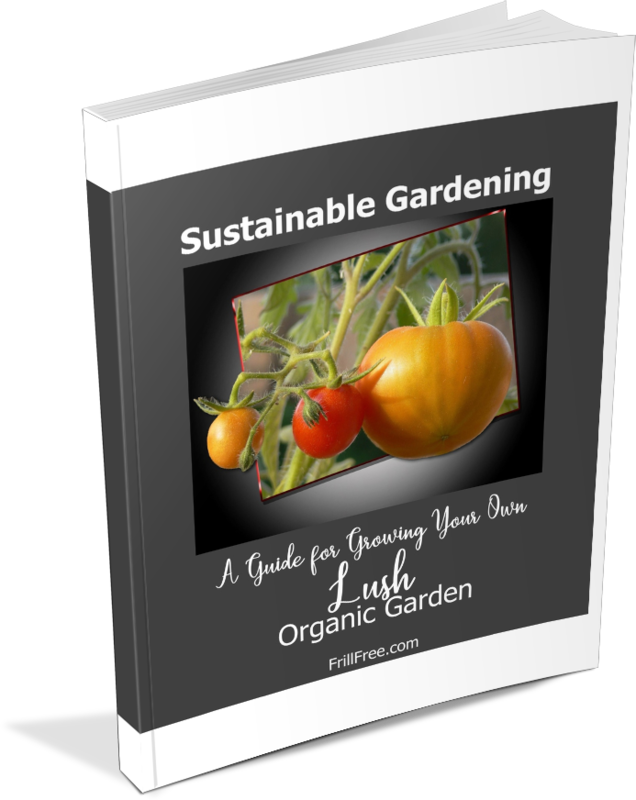 I never had any success with dill; growing it carefully from seed in the greenhouse, transplanting it into properly prepared soil, in special beds; it all dwindled to nothing and died. Luckily, a friend gave me some seeds; her method is just to sprinkle it around wherever, or even in the compost pile so it gets spread on beds along with the compost in the early spring. Dill is related to carrots and many other umbelliferous plants, and resents root disturbance (I knew that!) so of course it won't appreciate being uprooted and moved. I don't know what I was thinking. Ever since I started using the spread with the compost method of sowing the seed, I've never lacked for lovely dill, with plenty of leaves (those are so finely cut that you need a lot of them) and the large heads ready to pack into jars for pickling, and more than enough to go around. Ladybugs and many other insects require a pollen source, and as they get a few aphids feasting on them through the summer, the larvae of beneficial insects will have plenty of protein. 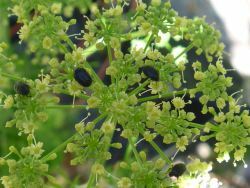 Even if you don't like dill for its flavor, grow some for the insects that depend on 'umbelliferous' flowers (the name should give you a clue - these are flowers that look like umbrellas!). Just make sure you rinse off the dill before you eat it; the bugs won't harm you, but some people prefer not to get the extra protein in the form of insects. The feathery leaves are used to flavor fish - chop them finely, sprinkle them in tartar sauce or with lemon juice for fresh and delicious summer flavor. The flower heads of dill are inserted into each jar of pickles for decoration and to infuse the vinegar. 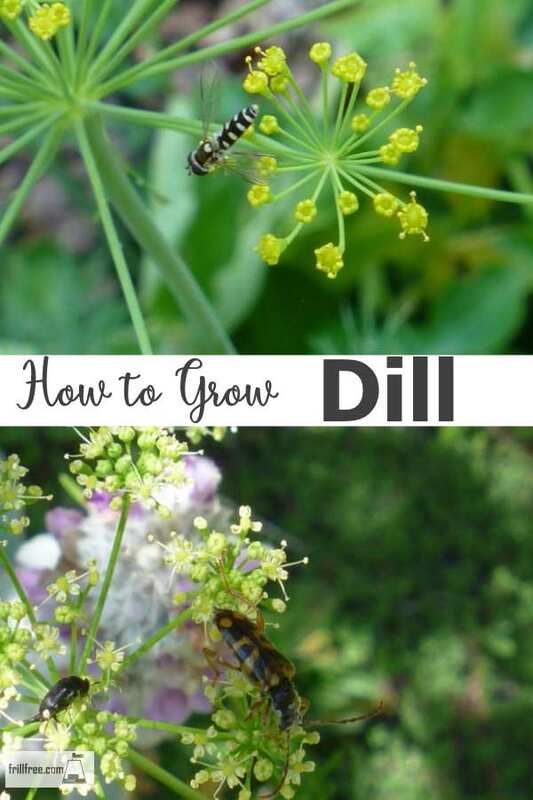 In the late summer, leave some of the stems of the dill standing, to provide seeds for the following year; as an annual, they will only grow from seeds that are scattered each year. Sometimes you'll get them sprouting in the compost - but don't worry, they're easy to pull out, with their weak root system.